Audio is an afterthought for some. They rely on the speakers built into their TVs, the earbuds that came bundled with their smartphones, and they’re perfectly happy. 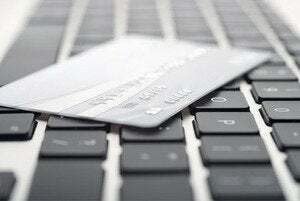 For others, audio is the main event and money is no obstacle in their pursuit of the perfect sound. 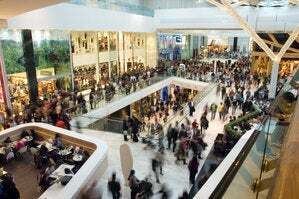 And there is no shortage of manufacturers eager to satisfy the latter camp’s cravings. Joseph Audio’s Pearl3 speaker isn’t the biggest or the flashiest loudspeaker we saw at CES this year, but don’t let its more conventional aesthetic fool you, this speaker offers incredibly detailed, accurate sound over a wide listening area. Spec-wise, the Pearl3 features a 1-inch Sonatex Dome tweeter and a 7-inch magnesium midrange housed in a separate enclosure from the speaker’s two 8-inch aluminum cone woofers. “There are so many great musicians who have died, who we can no longer hear perform,” Jeff Joseph, president of Joseph Audio, said as I sat down to listen to Louis Armstrong’s “St James Infirmary.” “The only way we get to experience their art is through a great sound system. In a way, we can bring these musicians back to life.” And the Pearl3 ($31,500 for the pair), certainly does an excellent job of this. The speaker produces clear, precise audio with a warm midrange that’s especially favorable to vocals and a crystal-clear treble. 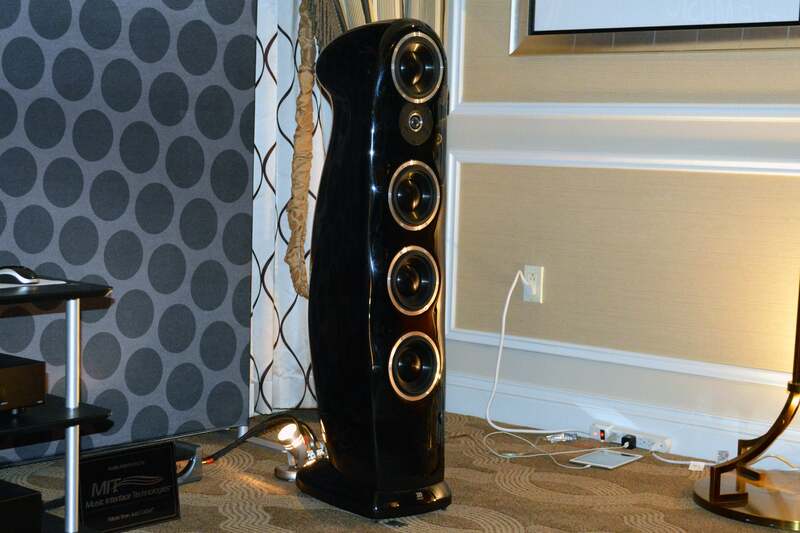 This shot is centered on the upper half of the Pearl3, showing the exquisite craftsmanship of its cabinet. 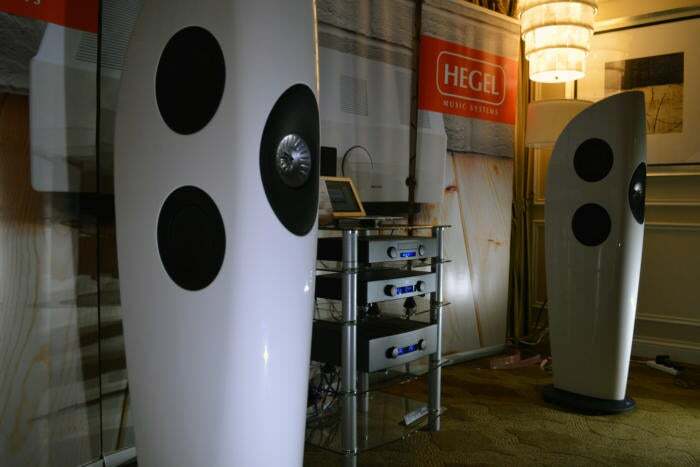 Swiss speaker maker Piega showed its unique Coax 711 speaker ($25,000 for the pair) in its suite. 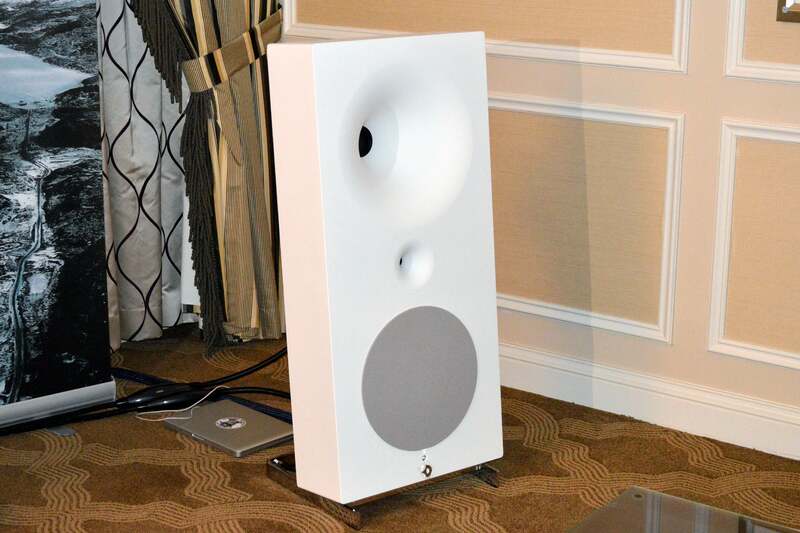 This speaker’s chassis is machined from a single slab of aluminum and then internally stretched to prevent even the smallest vibration. Then, to eliminate any remaining micro resonances, the interior of the cabinet is lined with viscoelastic damping film. 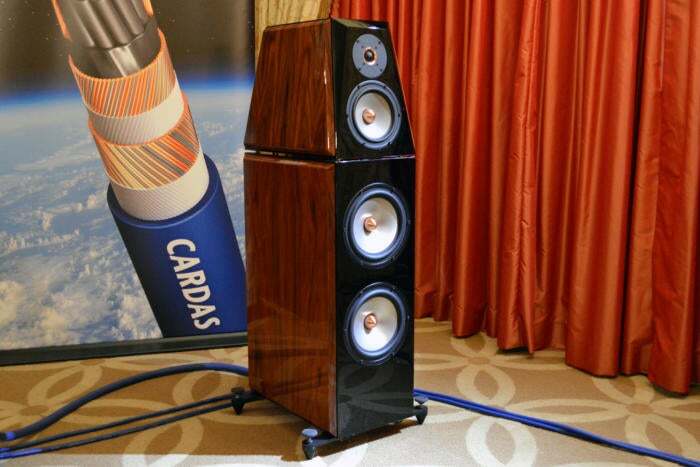 The result is one of the stiffest, least-resonant speaker cabinets on the market. And it pays off: The Coax 711 offers precise, dynamic sound. 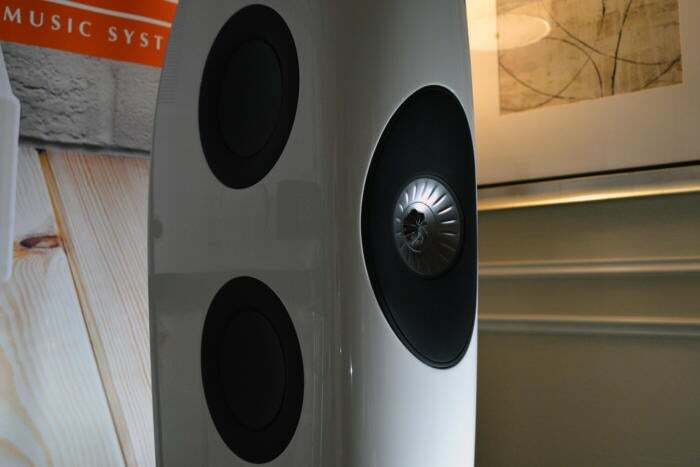 The speaker features Piega’s second-generation coaxial ribbon system (a ribbon tweeter and midrange driver in one), which sits atop two woofers and two passive radiators. This shot focuses on the Piega Coax 711’s namesake coaxial driver, which combines a ribbon tweeter with a midrange. The eye-catching Lignea speaker, designed by the late Franco Serblin (who founded Sonus Faber), is also new to the U.S. market for CES and will set you back $5,995 for the pair. This small floor-standing speaker is made of a single piece of solid wood and is designed to look like a lute—but its curves aren’t purely aesthetic. 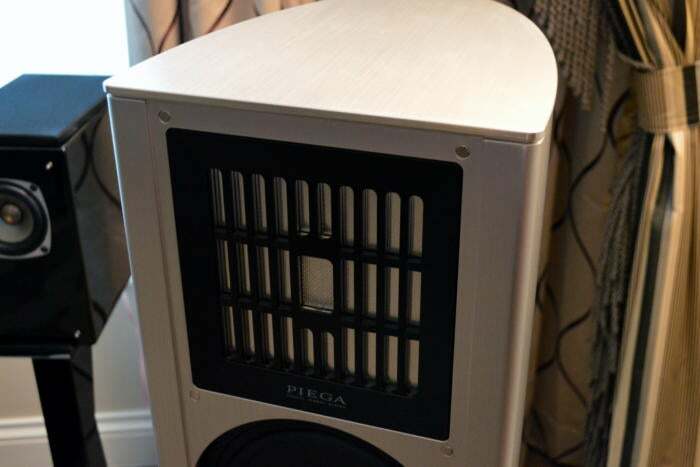 The Lignea’s design allows for a bigger bass response than you’d normally hear from a speaker this small, as well as warm, clear midranges and crystalline highs. The Lignea has a 1-inch soft-textile tweeter and a 4.3-inch mid-bass cone. The Lignea’s enclosure is carved from a single piece of wood. The speaker enclosure’s curved back delivers bigger bass response than you’d think a smaller speaker could deliver. You don’t necessarily need a big box to get great sound. 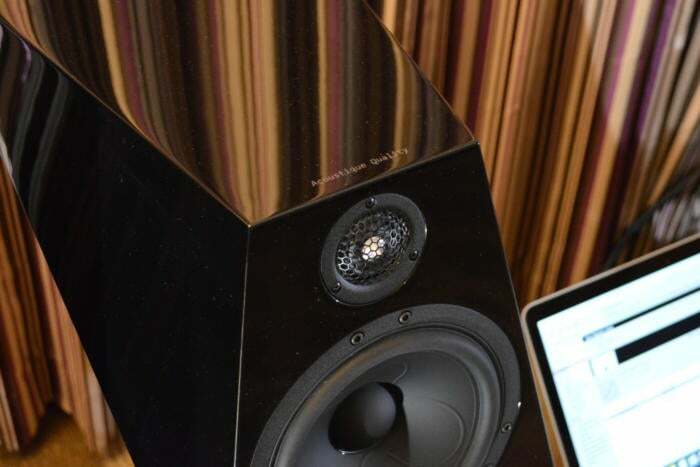 Arch*angel’s near-field studio monitors deliver detailed, accurate sound for more intimate rooms. 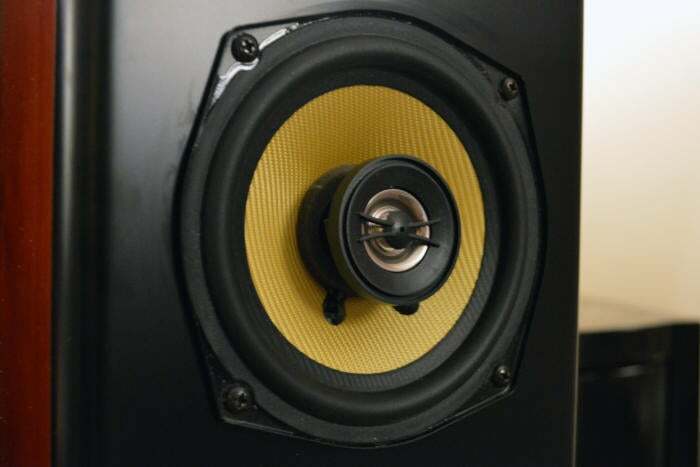 The speakers are designed to play back audio with the utmost accuracy (hence the studio monitor description—recording engineers depend on this type of speaker during the recording and mastering processes). 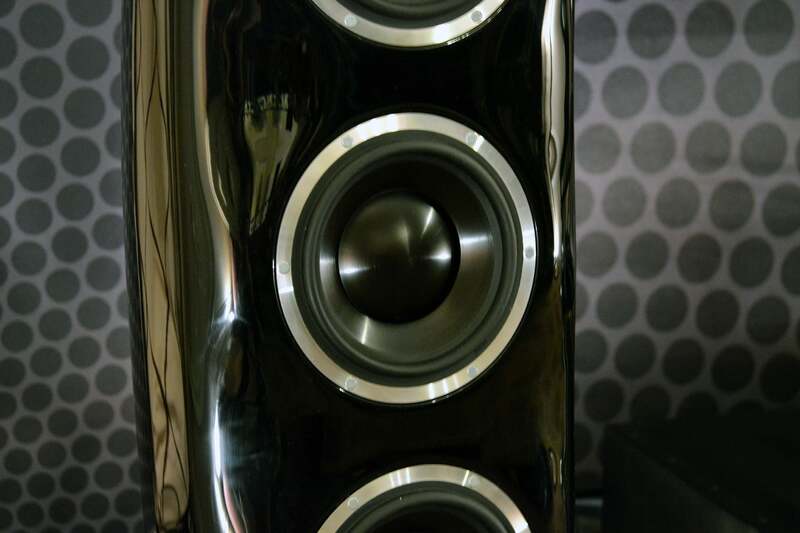 The Arch*angel feature a coaxial design, which means that the tweeter and midrange are stacked on top of each other in the center of the woofer cone. 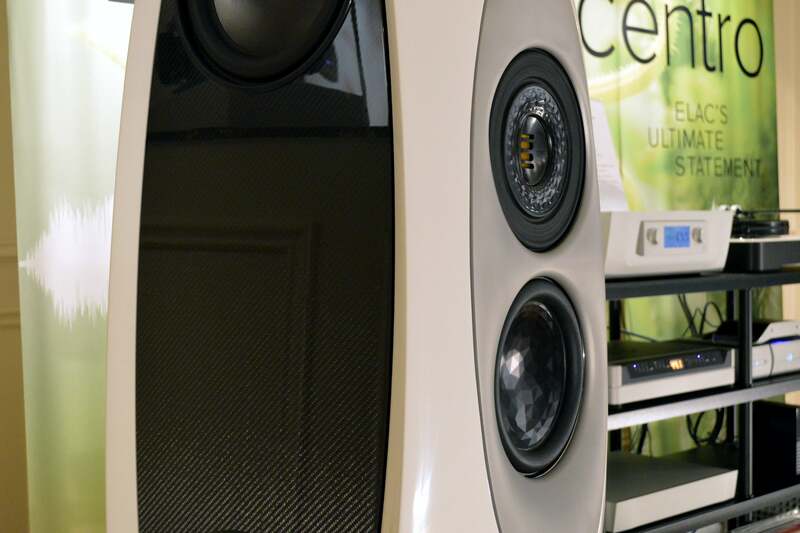 The arrangement produces a wider listening area compared to speakers with drivers mounted to different areas of the cabinet, according to the manufacturer. 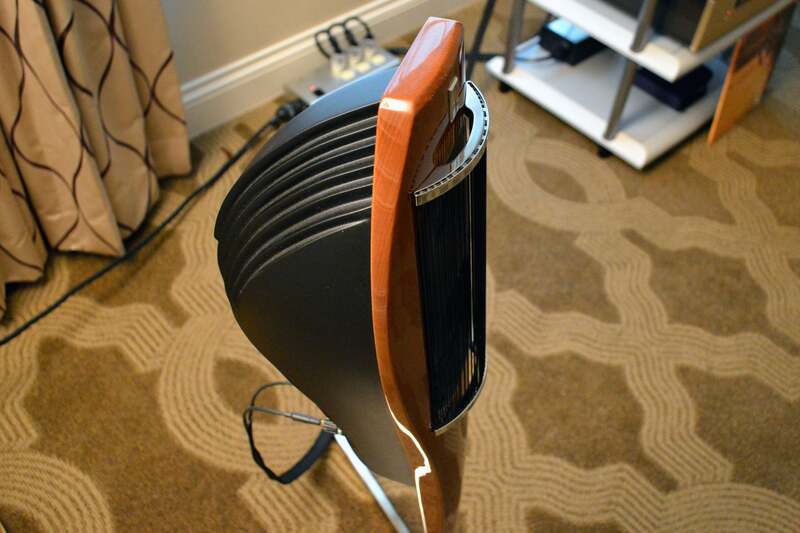 This close-up is of the cherrywood finish ($2500; the previous shot showed the $3000 piano-black enclosure). The dust cover has been removed so you can better see the tweeter and midrange. 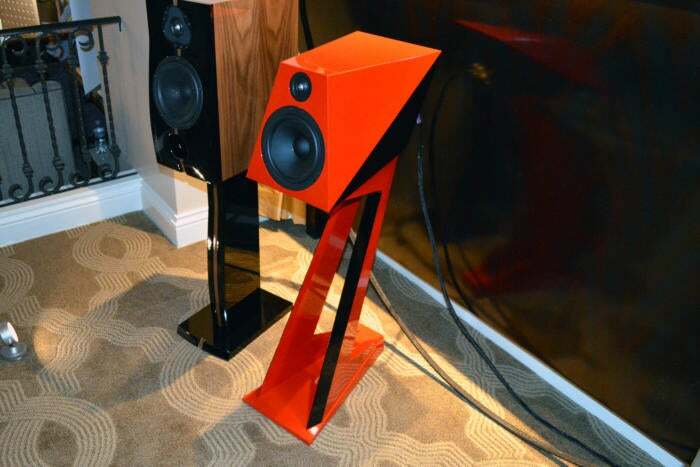 KEF’s Blade Two speaker looks like something out of a 1980’s sci-fi movie. 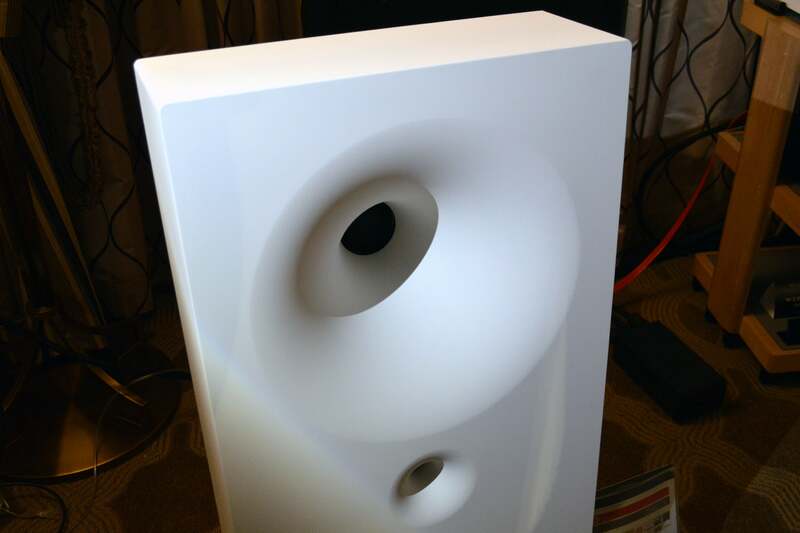 This loudspeaker ($25,000 per pair) is housed in a slim and impressively lightweight parabolic cabinet designed by Eric Chan of ECCO Design. The Blade Two features KEF’s Uni-Q driver, which mounts the tweeter and midrange in a coaxial arrangement, as well as four side-mounted 8-inch aluminum cone woofers that are fused back-to-back. 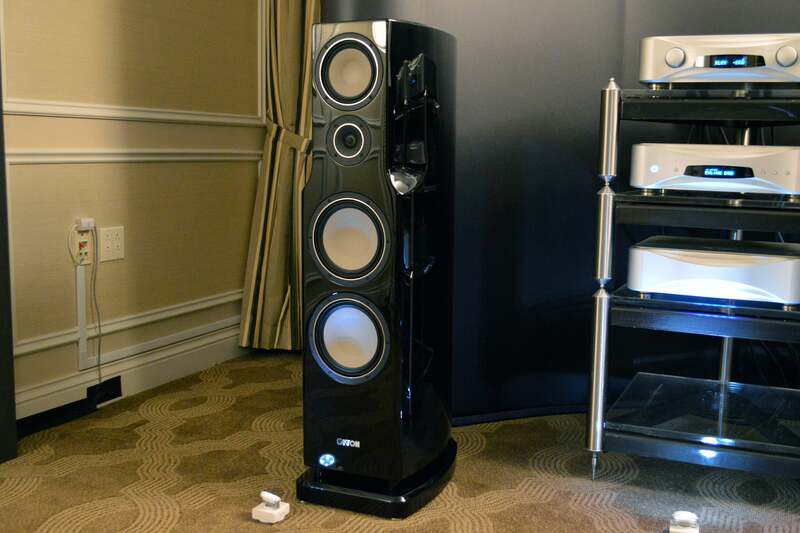 This back-to-back design means that each bass driver pumps out sound in opposite direction, canceling reaction forces that could otherwise lead to cabinet resonance. As for sound, the Blade Two definitely delivers with deep bass response and superbly accurate overall reproduction. This speaker draws its name from its knife-like industrial design. 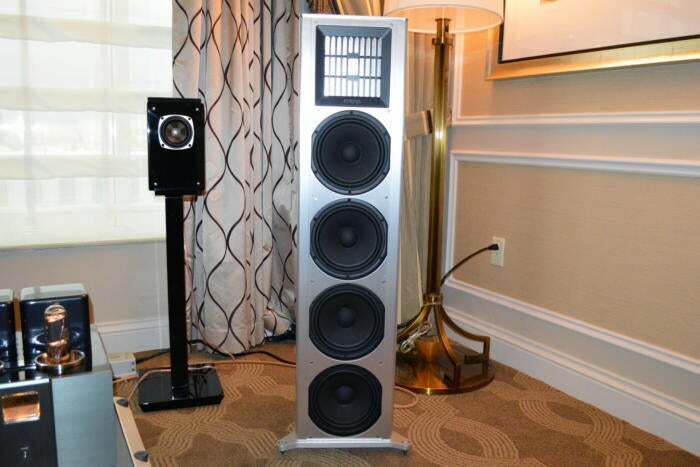 Measuring 57.5-inches tall, the Blade Two is only slightly shorter than the original Blade, which is Keff's flagship full-range speaker. Okay, so there are actually a few speakers parroting 1980’s sci-fi movie aesthetics at the show this year. 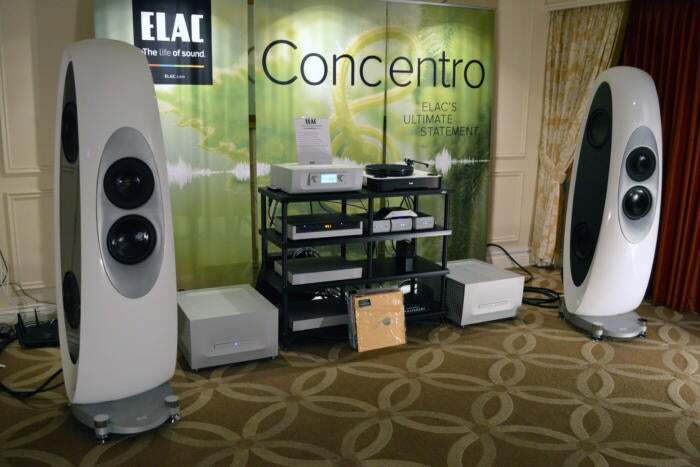 ELAC’s Concentro speaker costs $70,000 for the pair. This behemoth of a speaker (each one is 5.5 feet tall and weighs about 300 pounds) features a “magic” concentric driver: A variable-suspension X-JET tweeter and a ring-radiator midrange driver in a concentric arrangement; plus, four active side-mounted 10-inch woofers. A brief demo revealed exquisite acoustics, powerful bass response, and impressive detail across the spectrum. You can customize the oval side panels of the ELAC Centro with your choice of wood, carbon fiber (shown here), or leather. 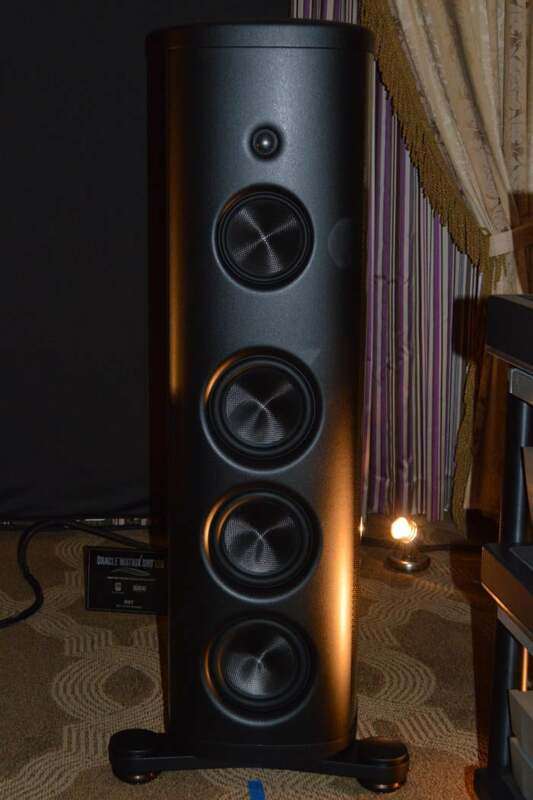 Canton’s Reference 3 K is dark, glossy, and imposing. 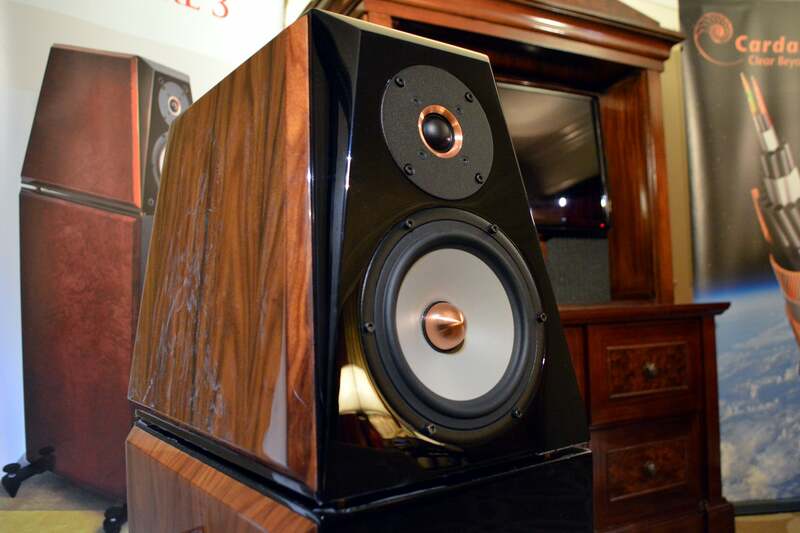 This 150-pound loudspeaker features ceramic-tungsten drivers (for optimum rigidity and better damping) and is housed in a solid wood cabinet with a shiny piano-black finish. 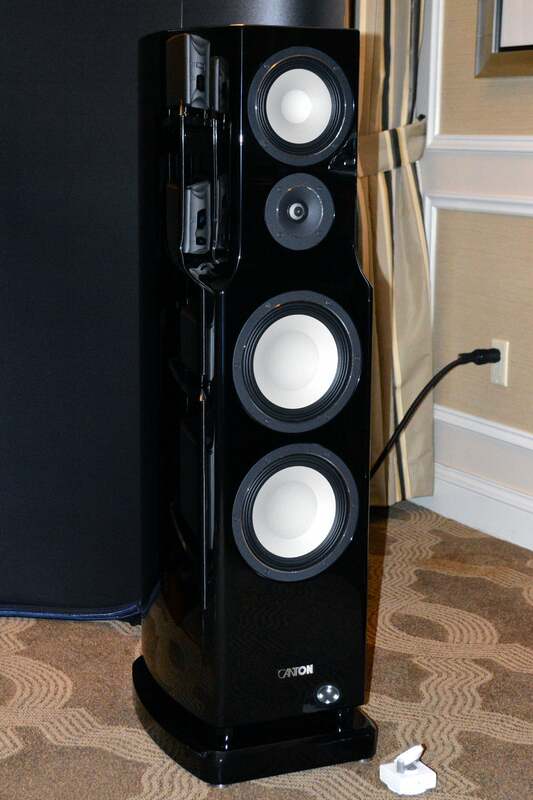 The Reference 3 K costs $15,600 for the pair and features a 1-inch aluminum-ceramic tweeter, a 7-inch ceramic-tungsten midrange driver, and two 8.6-inch ceramic-tungsten active woofers. The Reference 3 K offers up great acoustic sound, crystal-clear vocals, and a wide soundstage. No matter where I sat in the room, the speakers sounded like they were right in front of me. Canton says it builds each of its speaker cabinets by hand in its own workshop, applying and polishing the finish in a 12-stage process. The speaker is available in the gloss black shown here or gloss white. 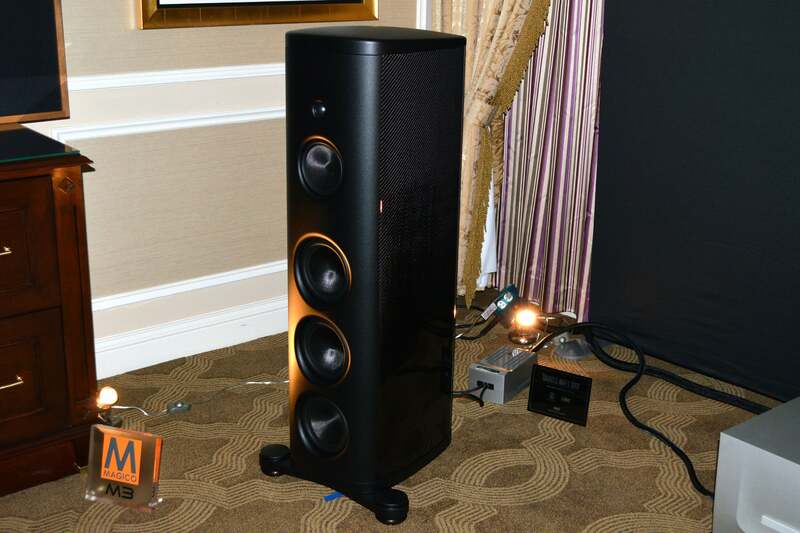 Avantgarde Acoustics brought its Zero TA speaker—new to the U.S. market—to the Venetian this year. 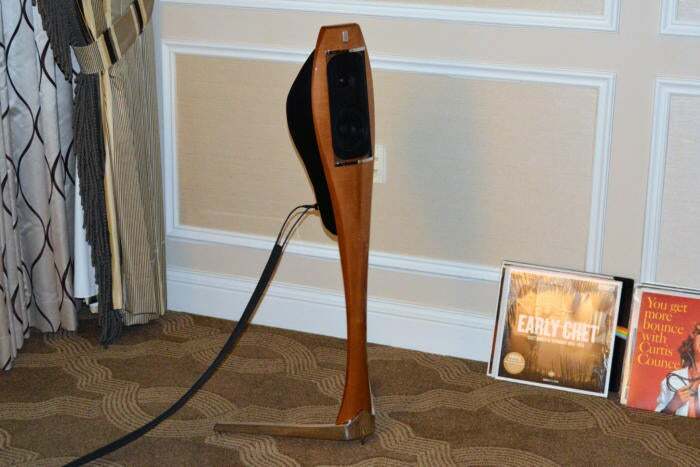 This unique-looking loudspeaker is a semi-active system, with a 125mm mid-range driver behind a 400mm spherical horn, and a 25mm tweeter behind a 130mm spherical horn tweeter. 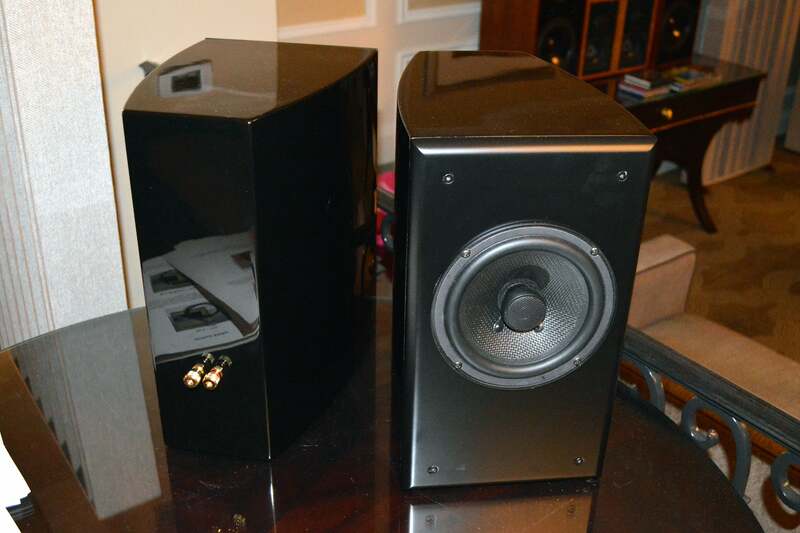 These are married to a 320mm subwoofer driven by a 500-watt onboard amplifier and digital signal processor. The cabinets are fabricated from injection-molded PVC and are mounted to chrome stands. A pair goes for $15,600. Using a horn is one of the most natural and efficient ways to amplify sound. To demonstrate the principle, all you need to is cup your hands around your mouth to speak, or create a funnel around your ear with your hand. If building speakers with horns was easy, on the other hand, we’d see a lot more of them on the market. Morel’s Sopran speaker isn’t new, but it’s in its second generation; well, more like a revision, according to Morel COO Casey Thorson. 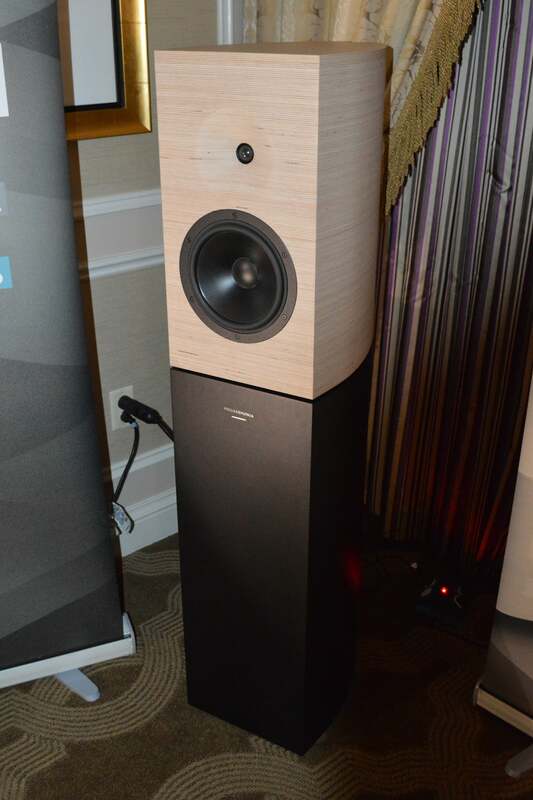 The “new” Sopran, which costs approximately $12,500 for the pair, features the same sweeping curves and fiberglass body as its predecessor, as well as five drivers: A 1.1-inch soft dome tweeter, a 6.5-inch midrange, and three 6.5-inch woofers. The Sopran’s curvy body isn’t just aesthetic, the dome at the back of the midrange includes a rear vent that allows for more “atmosphere” and “ambiance” in the auditory experience. As a result, the Sopran offers up warm, resonant mids without compromising on bass or high performance. Every part of the Sopran’s sound hits you at once, from solid, thumpy bass to vibrant highs, for a nicely detailed and dynamic experience. The Morel Sopran’s undulating cabinet design is made possible by a combination of carbon fiber and fiberglass resins. 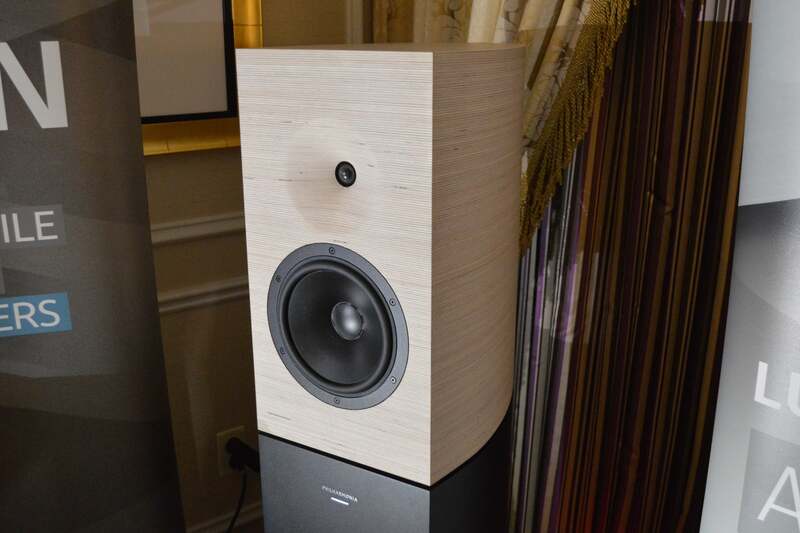 Magico’s M3 speakers are impressive in both construction and performance. The company tells us these are the first loudspeakers to feature drivers fabricated from graphene, an almost mythical material that’s one million times thinner than a human hair, yet 200 times stronger than steel. Magico uses graphene to fabricate the M3’s 6-inch midrange and three 7-inch woofers; its 1-inch tweeter is made from the comparatively boring diamond-coated beryllium. While the entire speaker tips the scales at more than 300 pounds, the company says its graphene drivers are 20-percent lighter and 300-percent stiffer than the ones used in its older speakers. As for the way they sound? They’re as incredible as you’d expect from their $85,000-per-pair price tag. The woofers and mid-ranges in Magico’s M3 speakers are fabricated from one of the world’s most exotic materials: graphene. The Philharmonia speaker was originally designed for the recording and mastering studios at the Philharmonie de Paris, but it’s now available so anyone can recreate the magic of a world-renowned concert hall in their home. Designed by Philharmonie de Paris architect Jean Nouvel and engineered by the French sound-reinforcement firm Amadeus, the Philharmonia is housed in a cabinet consisting of 547 layers of birchwood veneer. 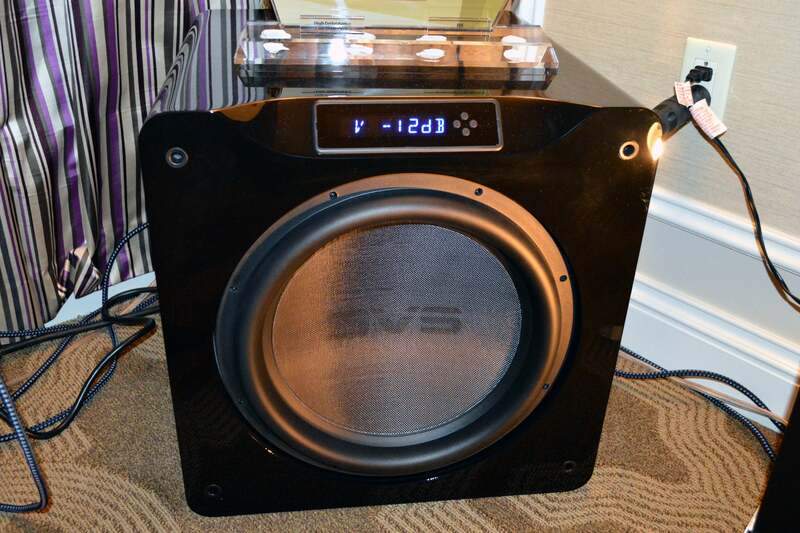 Inside, you’ll find a 1.1-inch soft domed tweeter and an 8-inch woofer, each of which is powered by discrete 700-watt Class D amplifiers and controlled by 64-bit digital signal processors that can customize nearly every aspect of the speakers’ sound. The price tag? A mere $50,000 per pair. The self-powered Philarmonia have digital inputs and onboard DACs, or you can use the XLR analog inputs if you’ve fallen in love with a particular outboard DAC. Here’s the black and white version of the Orca (the white is on the rear panel). If you’re all about that bass, you can't live without a subwoofer. SVS has you covered with its new sealed-box SB16-Ultra, which features a massive 16-inch driver and the world’s first 8-inch voice coil, which the company says allows for accurate, articulate, virtually distortion-free bass, even at high volume levels. The new sub is controlled by a 50MHz Analog Audio Devices DSP with 56-bit filtering, it and works with a new companion app (Android and iOS) that lets you control polarity, room gain, and phase alignment (among other things) via Bluetooth. 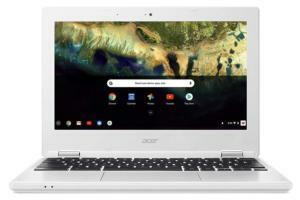 The SB16-Ultra is shipping now and costs $2,000. We have a hands-on review in the works.